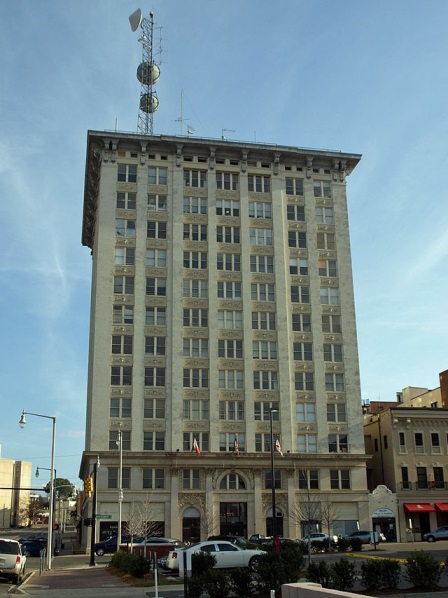 MAL, LP is the only equity holder in a project to redevelopment of the historic Bell Building in Montgomery, Alabama. The total development cost is about $19,000,000 and financing includes a bank’s construction loan, historic tax credits proceeds, developer’s equity, and $3,500,000 raised from 7 EB-5 investors, all hailing from China. Listed on the National Register of Historic places, the Bell Building was once a thriving office building, but today is struggling to be filled. However, it retains a great location near the Alabama River in downtown Montgomery and is among the tallest buildings in town. In order to be best used, it must be converted to market rate apartments for rentals. Evolving demographic shifts in America over the last 25 years mean that the population is increasingly urbanized, and many cities like Montgomery have demand for apartments that vastly outstrips the limited supply. Once complete, the MAL project will add 88 units and 64,000 square feet of usable space. Restaurant/retail space will also be built on the first floor. The project expects to create about 90 jobs countable towards EB-5 job creation requirements. All investors were approved at the I-526 stage and the Project is currently under construction.